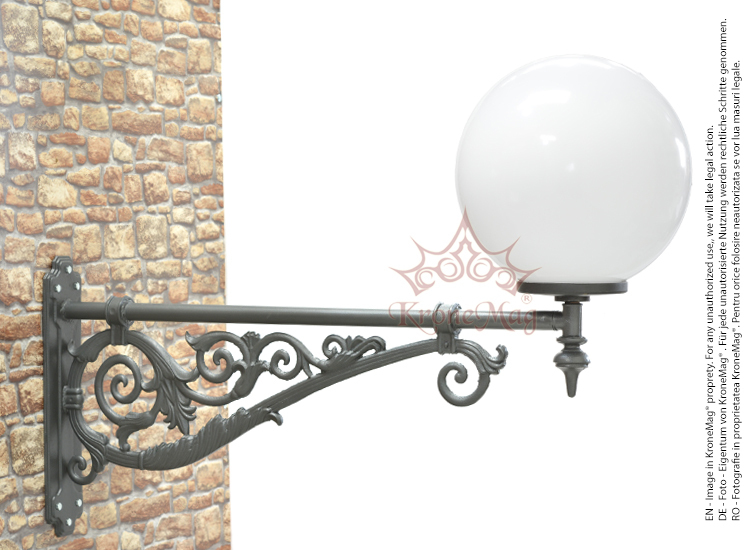 The wall lighting bracket ME502 is made by cast iron. This lighting console for home, yard, terrace and balcony is offered with luminary and complete the garden furniture category. The lighting console can be fixed on the wall with conexpands ( the conexpands are not included ).